Bath time temperatures have always been guessed since moving into the big bath, using the elbow technique. However, for us, this really isn't a good technique as I love a hot bath. 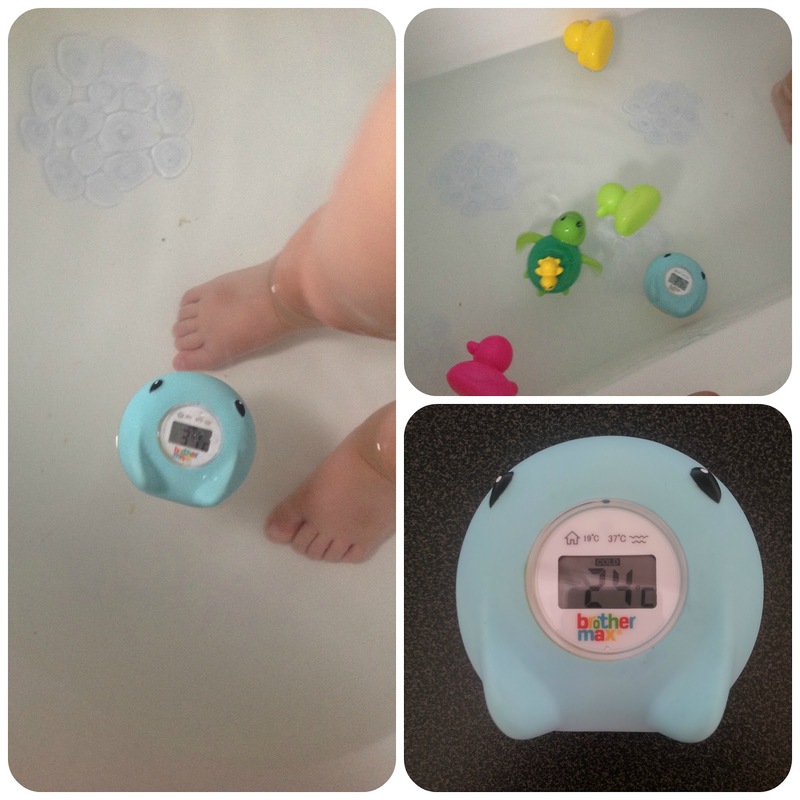 Recently we were sent Ray, a Bath and Room Digital Thermometer created by Brother Max for review. I have been eyeing up this little product for a while but never got around to purchasing one so jumped at the chance for review. Ray is a portable, digital thermometer which can be used both in the water to test the temperature of the bath, and also in a room to see the temperature of the room. Ray is shaped like a Stingray hence the name and features a clear LCD display screen making it easy to read. It is also certified as a bath toy so doubles up to keep your child occupied also. We first used Ray within the bath, testing the temperature of the bath water. As I like my water so hot, I sometimes worry that it is a little hot for Jack, however, he's never had any problems but Ray was great for reassurance. Ray is very sensitive to temperature changes, also when the water temperature reaches above 39ºc, the LCD will flash 'HOT' giving you warning. Above the display are icons with the ideal temperatures on them so you can relate if your unsure. As previously mentioned Ray doubles up as a floating toy, which Jack enjoyed to play with along with his other toys. As mentioned, Ray can also be used as a room thermometer making it versatile. This is ideal within the nursery as a way to reduce the risk of cot death. Again there is a ideal temperature printed above the display which is recommended at 19ºc. 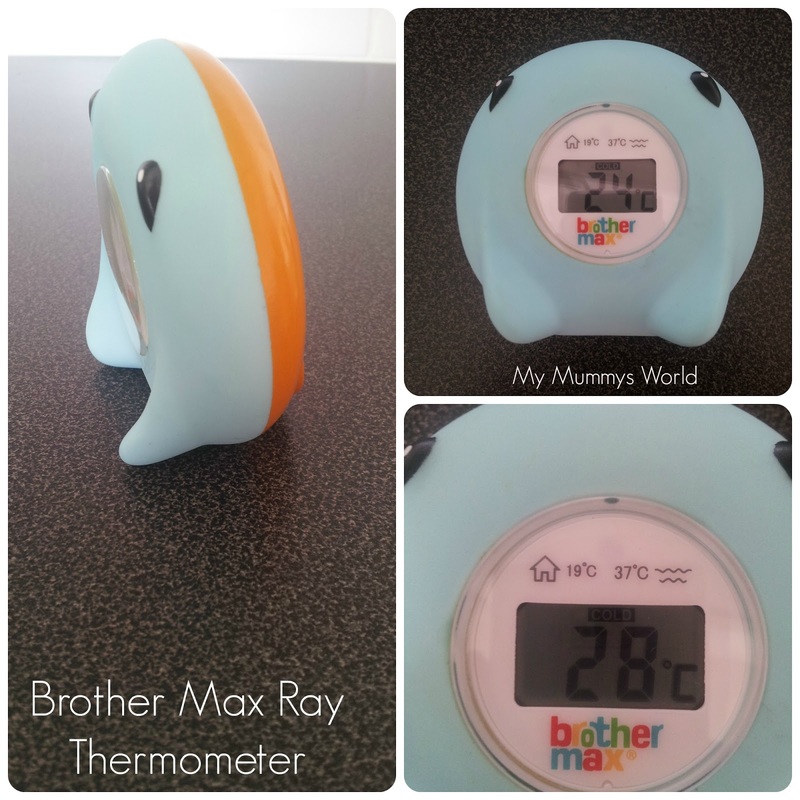 The Brother Max Ray Thermometer has been tested to comply with EU Toy Safety Standards and is BPA- free, Phthalate - free and PVC free. Ray is currently available and priced at £14.99 on the Lloyds Pharmacy Website. Ray is very enjoyable and makes bath time much safer, and gives you reassurance and comfort around the home.